“Emissivity” is a term which describes the heat emission of a material. Materials which are regarded as perfect radiators have an emissivity (EM) of 1.0. Materials that do not emit heat at all have an EM of 0. Most of the ceiling materials (wood, steel, and painted surfaces) have high EMs of approximately 0.9. 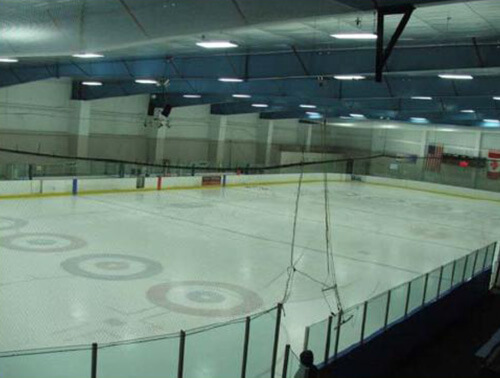 As radiant heat travels from a warm surface to a cold surface, most of the heat emanates from the ceiling to the ice rink surface. The amount of this heat radiation is directly proportional to the EM of the ceiling. 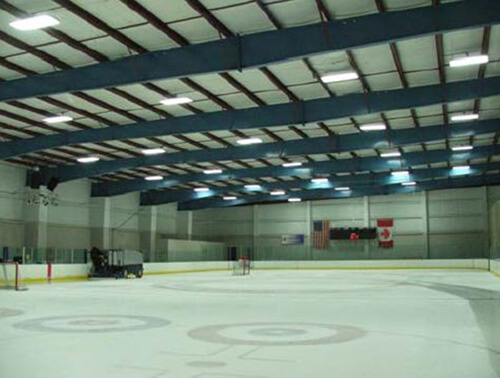 If the EM of your rinks ceiling is reduced, it can have a major impact on the load onto your ice surface, thus reducing energy costs and providing better ice conditions. Materials for low-emission ceilings have an EM of 0.5 or less. 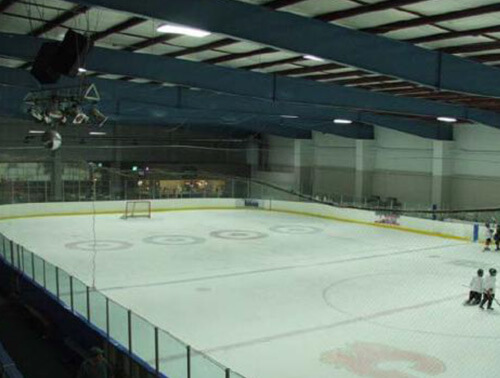 For example, silver and aluminum products belong in this category and both are already used in connection with ice rinks to reduce the heat radiation. 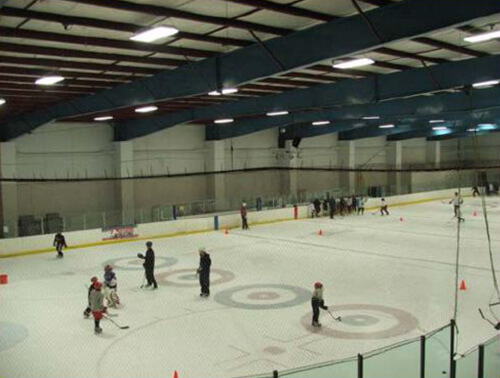 […] Ceilings can be insulated along their entire surface or just above the ice surface area in order to be as productive and cost-efficient as possible. 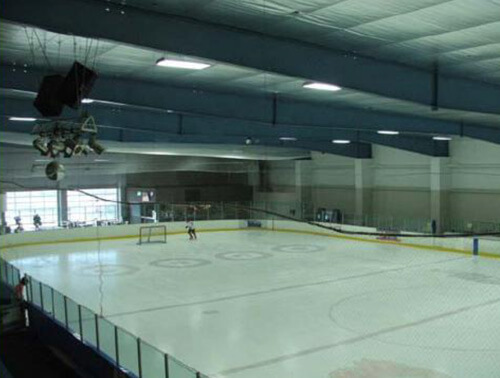 Since the additional costs are often only minimal in comparison to the gained effectiveness, many facilities choose the alternative to install a complete ceiling. 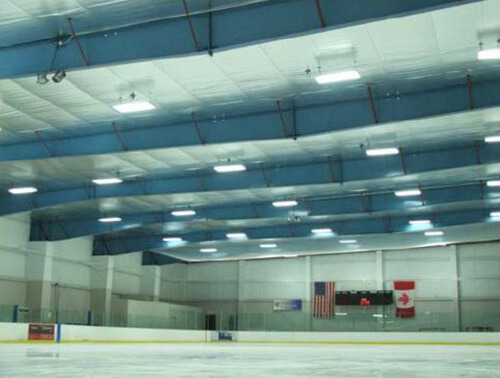 Therefore, the installation of a ceiling lining with a low emissivity offers numerous advantages for your facility. A dramatic increase of up to 50% concerning the light conditions is the most obvious. However, a 15% to 20% reduction in cooling costs will most likely be your biggest asset. Additional advantages include a reduction or elimination of the condensation, better acoustics and an all-encompassing enhancement of building aesthetics. Depending on electricity costs, building conditions, etc., the amortization for the installation of such a ceiling can be fulfilled within only 2 to 3 years. However, some facilities may take longer. The installation of a low-emission ceiling will be self-sustaining and will generate profit in the future by reducing operating costs. 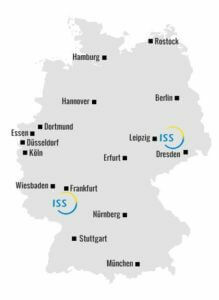 RecSporT Products Ltd. / GWS Technologies Ltd.